★ Your online presence, in particular your website, is one of the most important aspects of sales and marketing for any business today. Regardless of whether you are an one-man band promoting at a local level in Canvey Island or a global corporate, the Internet is the first port of call used by prospects and customers to source products and services. Get your website wrong and you are hindering your ability to convert browsers into buyers, subscribers, members etc.. Good website design needs to cater for your target market and audience and answer any queries or concerns. It has to instill confidence and portray you or your company brand in the best possible light. A website should be your best sales channel; it's available 24/7, never complains and never has a day sick. If you're local to Canvey Island or the wider area of Essex, Advansys are just a phone call away. There are lots of website design companies and digital agencies out there and many in Canvey Island, so how do you know who to trust and why should you consider Advansys to build your next site? There are many web design and development agencies that can create a good looking website and in fact many of those agencies use "off the shelf" templates which they didn't even design let alone code. Advansys are a full service digital agency who will design and develop beautiful corporate and brand websites bespoke to you; we so because it's important to understand the online behaviour and personas of those who will use the site. Not all websites are created the same! At Advansys we offer a professional range of website packages on proprietory and open-source platforms to give you the greatest flexibility. All of our solutions can be customised to your exact requirements and we provide fixed priced quotations with flexible payment plans to make the affordable. Advansys is a full service digital agency. We've grown up with the world wide web (www) and have over 20 years of creative experience which you can directly benefit from. We are experts at CRO (conversion rate optimisation), SEO (search engine optimisation) and PPC (pay per click) advertising. Having a great looking website is just the tip of the iceberg.. getting people to find it is vital.. and once they found it getting them to convert is something else again. By choosing Advansys you'll be guaranteed an amazing website that you'll be proud to shout about and a website that can be found easily on the search engines which generates enquiries and sales. 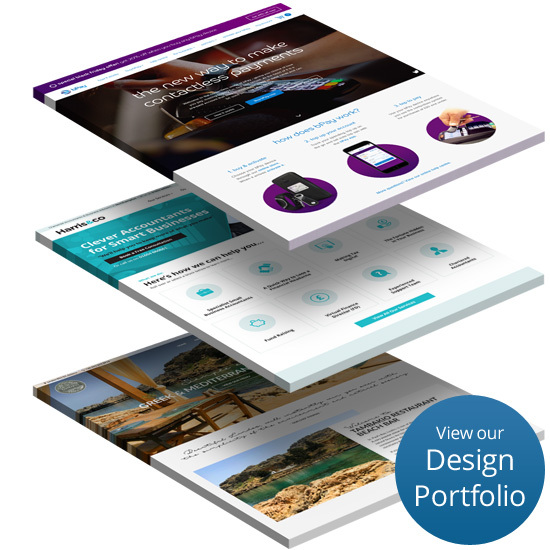 As one of the UK's leading online retail, web design and digital marketing companies, we are proud of the brochure website designs that we offer to our clients. Our many years worth of experience are essential when creating high-quality websites, but it is our passion for intuitive and innovative web design that truly makes us stand out. We give you the opportunity to offer your customers detailed information and boast an engaging online presence that allows you to completely control your brand's identity on the internet. We work alongside our clients, to create the perfect website for them; one which completely realises their brand identity and heightens awareness around the business itself. To work with the best brochure website design agency around, contact Advansys today!